Below is the latest promo I made for Sugar & Vice. This one is a behind the scenes look at how much effort goes into creating a piece of jewellery, from setting up the various pieces on a computer, to the laser cutting and then assembling. Sarah and Matt at Sugar & Vice put loads of effort into ensuring each piece of jewellery is great quality. Check out the website for all their fantastic jewellery. As with all my films I tend to make a teaser poster and then a final poster, and my latest film is no different. 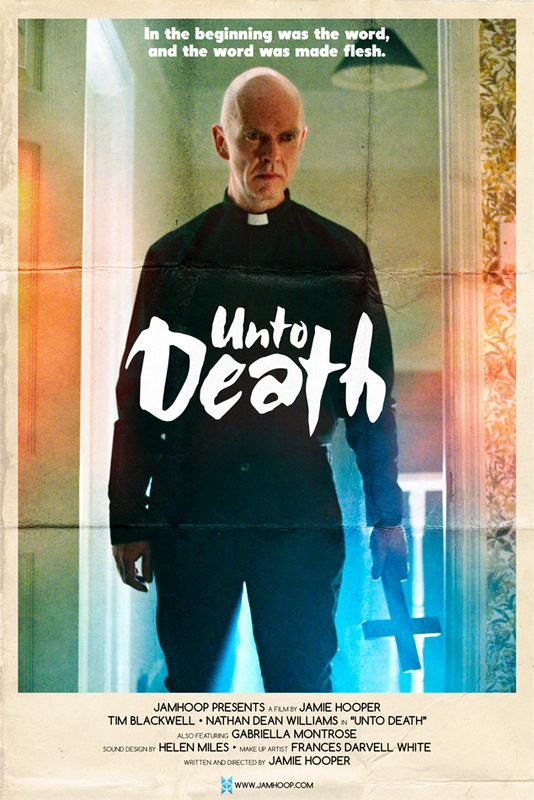 Below is the teaser poster for my latest short film, Unto Death. The photograph was taken by Samuel Dore on something you might remember called 35mm film. If you have a spare 32 seconds can also watch the trailer.